Forklifts first appeared back in the 1920s. Their emergence revolutionised many businesses considerably. 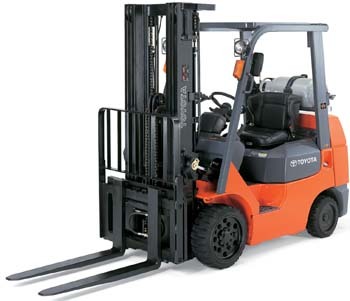 As a result, many warehouses and distribution companies use forklifts for an array of activities. But mechanical parts and components will invariably wear out or break down. Alternatively, you might find that you need some new forklift parts for added functionality. In this scenario, you will need to look for the best provider of forklift spares in the vicinity. Forklifts typically comprise thousands of forklift parts. In many cases, these machines can withstand rough use in the toughest environments. However, many parts could start wearing out over time. In this scenario, consider whether you need a spare parts supplier or a dealer who can offer all kinds of assistance concerning your forklift. The former would only be useful when you need to replace some spare parts in your truck. The latter, however, could help you with an array of services. For instance, dealers who provide ongoing services will be able to help you with any matter pertaining to your forklift. From servicing the truck to replacing worn out parts, they will help you keep your machine in prime condition. If you plan to sell your forklift shortly, you could make do with a used spare part. But, situations could arise where you might need additional parts to enhance the functionality or comfort of your forklift. Or, you might need retractable seatbelts and seatbelt switches for enhancing the safety of your truck. A dealer who offers a myriad of products and services for forklifts could be very handy in these situations. When you need the best quality forklift spares, simply shop at Southcoast Forklifts. A Victoria based forklift company, we’ve built our reputation by providing the best value forklifts and forklift parts. From new forklifts to used ones, we can give you the truck that suits your needs the best. In addition, our inventory comprises millions of spare parts for all makes and models of forklifts. As such, you would be able to locate the part number that you’ve been searching for very easily. Moreover, if you need to lease a forklift, we could help with this too. 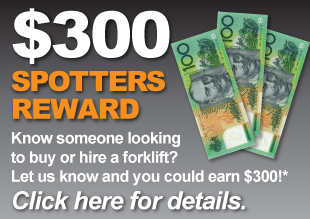 Click here to claim your reward if you know someone who wants to buy or hire a forklift.